While your loved one is in recovery, you want nothing more than to encourage their independence without having to worry about their safety. True Link is here to help. The reloadabale True Link Prepaid Visa Card enables you to provide funds to a family member or friend in a more secure, transparent fashion. You determine when, where, and how much money can be spent, while your loved one is able to purchase what they need safely. We all need support in our lives, but the amount and type needed differs from person to person. With the Next Step Card from True Link, you can choose the level of support that’s right for your unique situation. If things change, no problem. The support settings can change too! Our user-friendly online dashboard allows you to customize how the True Link Card works for your loved one. 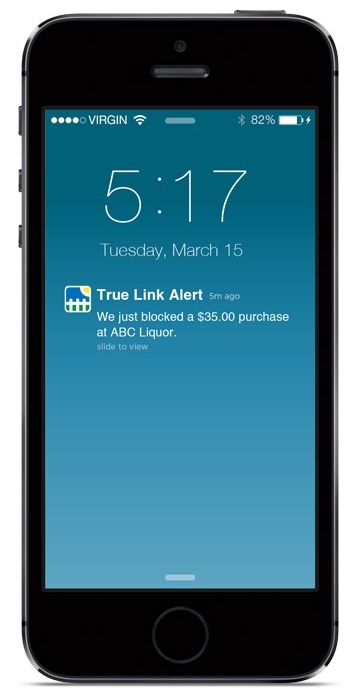 Block trouble spots like online purchases and bars. Want a card just for the essentials? Allow only gas, food, clothing, and pharmacy purchases. Have a specific store in mind? Set up the card to work only at merchants you select. Block ATMs, cash back, and bank withdrawals. Breathe a sigh of relief. The True Prepaid Visa® Card is here to help. 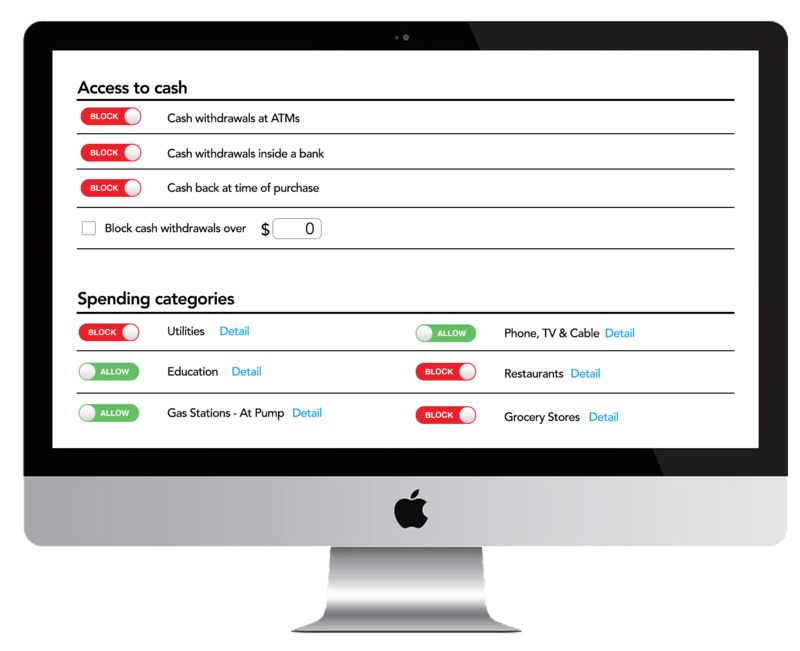 No more stress around making purchases for your loved one, buying gift cards, or handing out cash. The Next Step Card from True Link is reloadable and easily funded online or over the phone. You can rest easy knowing your loved one enjoys greater independence and quick access to funds. Learn about a problem before it's too late. Find out about potential issues right away via text message* or email. 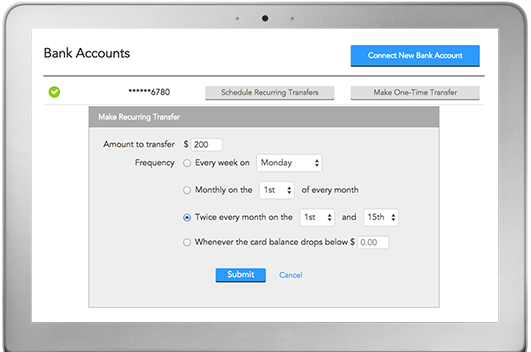 We'll let you know when a transaction is blocked, a spending limit is hit, a balance drops below a certain amount, and more. * Standard text messaging rates apply. You get this peace of mind for a monthly fee of just $10.00. Click here for a detailed description of all fees.